well I guess math wasn't my best subject. i guess i was looking for pictures of our 45 reunion party at NMB. Attention: Garinger Class of 1966. Please save the date of May 20-21 2016 for our 50th Class Reunion. The venue will be finalized soon, but the Band has been booked. That's right, we have booked " The Entertainers " for our Dinner / Dance Saturday night May 21, 2016. Keep watching this site for updates. Let's all get together for this special reunion. Attention: Garinger Class of 1966. Please save the date of May 20-21 2016 for our 50th Class Reunion. The venue has been finalized. We have contracted with the Marriott Southpark to host our event. This is a newly renovated hotel and the facilities are outstanding. I believe everyone will be pleased with the venue. As I posted before, the Band has been booked. That's right, we have booked " The Entertainers" for our Saturday night dance, May 21, 2016. This band always puts on a great show. There will be a variety of food stations that we hope will please everyone. We will also have a meet and greet Friday evening. Keep watching this site for updates. It's the Fifty Year Reunion folks, so let's all get together and make this a reunion to remember. GARINGER CLASS OF 1966 graduates!! We are working hard to make this reunion a happy, joyful celebration of the 50 years since our graduation. It has been a wonderful experience reconnecting with old friends as we put together a spreadsheet of contact information. The venue has been finalized. We have contracted with the Marriott SouthPark to host our event. This is a newly renovated hotel and the facilities are "outstanding". We believe everyone will be pleased with the venue. The Marriott is offering a special rate of $129 per night for our weekend for those who want to overnight. We have booked "The Entertainers" for our Saturday night dance, May 21, 2016. This band always puts on a great show. There will be a variety of food stations Saturday evening that we hope will please everyone. We will also have a "Meet and Greet" Friday evening. A cash bar will be available both Friday and Saturday nights. In an effort to allow plenty of time to budget for the event, we would like to announce that cost for the event will be $95 for Friday and Saturday / $85 for Saturday ONLY if Registered and Paid before February 1, 2016. If registered after February 1, 2016 the cost will increase to $105 for Friday and Saturday / $95 for Saturday only. This is per person pricing. Please see attached Registration Form to be completed and send in with your check. We will send out more information as it becomes available. Please pass on this posting to any 1966 graduate that you know who may not have been located yet. We are making every effort to find as many of our classmates as possible. Let's All Get Together and make this a Reunion to Remember. Register early and save money. Hope to see you there, David. Please see Garinger Wildcats and Garinger Guys and Gals websites for Registration Forms. Happy New Year, 1966 Garinger Grads. This is your 1966 classmate David Feimster. Hope you all had a wonderful Merry Christmas and that the New Year is off to a great start. The Reunion Committee is making great progress completing plans for what we hope to be the best Garinger class reunion in recent memory. And the key ingredient for a successful reunion is YOUR attendance. I would personally like to encourage you to fill out that registration form, write that check and mail it in before February 1. That will save you a couple bucks and give us a heads up on meeting our attendance goals. We are still working hard to locate and invite as many 1966 grads a possible and you folks have been a great help. Remember, May 20-21 2016 is the date and "The Entertainers" is the band. Earle and the guys always put on a great show. You will have fun and seeing old friends will be the best part. Thanks and hope to see you there, David. Greetings again from your Garinger 1966 classmate, David Feimster. This New Year is really flying by, like most things at our age. But the excitement is building for our big 50 Reunion celebration. Your reunion committee is still working hard locating and inviting '66 graduates to the event. I received a call last night for a classmate in Denver, Colorado requesting a registration form and planning to attend. As of February 17, we have over 100 confirmed and paid attendees. With three months to go, I think we can at least double that number and maybe triple it. As I said in my last post, it's been a blast working on the committee, researching, reconnecting and inviting our fellow classmates to this event. We will continue to work right up to the reunion and again request your support in getting to word out to anyone who might still be unaware of this reunion. Thank you for your help so far and if you haven't already registered please consider filling out the registration form, writing that check and sending it to Johnny Swinson, our committee treasurer. If you have any questions or need a registration form, my email address is *****@aol.com. Thanks again, David. The Planning Committee has worked hard to make this reunion a happy, joyful celebration of the 50 years since our graduation. It has been a wonderful experience reconnecting with old friends and planning for a memorable celebration. We are so looking forward to seeing everyone and having the opportunity to catch up after all these years!! For those who will be staying at the Marriott and those who might want to explore the area of our event, here are some of the notable places and restaurants that could be of interest. There is also Symphony Park just a short walk, close to the mall area. o Planning committee will have stars on nametags to identify them if you have questions when you arrive. LOTS OF FUN IS BEING PLANNED!! Friday Night 6:00 - 8:00 "Meet and Greet"
Saturday Afternoon 1:00 - 2:30 "Tour of Garinger"
Saturday Night 6:30 - 11:00 "The Big Event"
More 1966 alumni from Garinger HS have posted profiles on Classmates.com®. Click here to register for free at Classmates.com® and view other 1966 alumni. If you are trying to find people that graduated in '66 at Garinger HS in Charlotte, NC, check the alumni list below that shows the class of 1966. 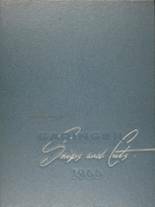 You can share memories of those activities that you were involved with at Garinger HS and you can view other alumni and read what other former students have posted about the time they spent at Garinger.